If you want to ensure you have an attractive kitchen, it is essential that you keep the work surfaces in tip-top condition. Its not just about creating a good looking kitchen either – the kitchen is a place where you need to maintain high standards of hygiene, and it requires attention on a regular basis. For those in the North West, home cleaning services throughout Bolton and Rochdale can help. Daily, you should try to clean as you go. Clean with a mild detergent or an anti-bacterial one. You can mix a cleaner with water in a spray to make it quick and easy to apply. Most of the handling of food happens here, so maintain high standards of cleanliness. The tiles around the kitchen can often be overlooked, but they can quickly become smattered in grease and grime. With regular cleaning, using a mild cleaner, they will shine. If you have grouting, use a mixture of bleach and water in a 1:4 ratio, and use an old toothbrush to remove any staining. If you have stainless steel surfaces, they can quickly look dull and grimy. Once cleaned they can shine brilliantly – but you’ll have to deal with fingerprint marks. Use micro fibre cloths with a small drop of baby oil to wipe any finger prints away. Only use non-abrasive cleaners to avoid scratches. At Maid2Clean, we offer a range of domestic cleaning services that can be accessed locally in your area, including domestic cleaning in Bolton and Rochdale. The kitchen is a room that is fraught with many dangers if not cleaned on a regular, and thorough, basis. One of the dangers that can affect food is salmonella. This unpleasant bacteria is not only found in animal carcasses and meat, but can also be passed to humans through contact with hands that have been contaminated, through dirty surfaces and kitchen utensils and even through touching doors, handles and oven knobs. Listeria is another kitchen nasty that can be carried by animals. It is often brought into the kitchen when foods have been contaminated and can be passed onto humans when hands have been left unwashed and surfaces unclean. Luckily, the home cleaners in Manchester at Maid2Clean are extremely efficient and experienced, and clean all surfaces extremely thoroughly. E-coli is found in foods and although it is a rare occurrence it can be fatal for some. Again it is passed on via surfaces and kitchen equipment being contaminated. Within a couple of hours these types of bacteria can multiply at a dramatic rate and you can very soon become ill. If you fail to keep your kitchen clean and bacteria free you can put yourself and your family at serious risk. If you don’t want to tackle these heavy duty jobs yourself, domestic cleaners in Manchester are a viable solution. Always keep surfaces clean with an anti-bacterial cleaning agent. Make sure you pay attention to door handles, the kettle, switches and anywhere else you know there will be contact with others. Don’t forget to keep cupboards, the fridge and all doors cleaned regularly to help prevent bacteria setting in. If you cannot commit to regular cleaning then home cleaning services in Manchester can be used to keep everything ship shape. At Maid2Clean we provide domestic cleaners in Manchester at affordable prices. If you are looking to give your shower or bath a thorough clean, you need to first make sure you know what its made out of. If you are looking for a professional service to determine this for you, look no further than the home cleaners in South Cheshire from Maid2Clean. Alternatively, you can easily determine this yourself. Most models these days are made from acrylic and fibreglass, which means you will need to be very careful that you avoid scratching them. Look for non-abrasive cleaning products and use a soft damp sponge to apply it. Always rinse off well afterwards with clean water. If your bath is an older model you may have one made of porcelain on steel, or porcelain on cast iron. Again, opt for a non abrasive cleaner as they may not be resistant to alkaline or acid. Here at Maid2Clean, our home cleaners in South Cheshire are well aware of the different types of cleaning resources available, and their suitability to different materials. Those stubborn bath rings can be tackled by covering it with a paste made of hydrogen peroxide and cream of tartar. Leave the paste to dry and then wipe off with a clean cloth. This paste is also useful for getting rid of any rust stains around taps and drains. Finally you need to remove any hair from the plughole to avoid flooding. When cleaning showers it can be a real chore, particularly where there is a glass enclosure. The best way to clean the glass areas is to use a sponge soaked in white vinegar. This will keep glass areas sparkling and clean. If keeping on top of the bathroom is one chore too many for you then enlist the help of a home cleaner. We at Maid2Clean have a team of professional domestic cleaners in South Cheshire who can help you tackle all the domestic cleaning. Cheshire homeowners are very house proud, and we know how to clean houses to your high standards. There are certain jobs that cannot be overlooked. These include the vacuuming of carpets and cleaning the bathroom. There are other jobs which are ‘nice-to-do’ jobs such as re-arranging the kitchen cupboards, but these can be sidelined until you have free time. For those more strenuous jobs, why not hire home cleaners in Southend? You’ll be surprised to see how much can be achieved on a busy schedule. Often you only need fifteen minutes to quickly run a vacuum cleaner around or to wipe over the kitchen surfaces. Put together a cleaning schedule to help you chip away at chores on a weekly basis. If you can’t manage something don’t worry, you can catch up another time. Get your family involved and show children how important being clean and tidy is. By showing children tasks such as making the bed and hanging out the washing, you are teaching them invaluable life lessons. If things have got out of hand, or you simply can’t get to chores on a regular basis, then enlist the help of domestic cleaning services in Southend. If you live near Southend, domestic cleaning from us at Maid2Clean will offer a professional service. At Maid2Clean we provide domestic cleaners in Southend and other areas across the UK. You may not pay a great deal of attention to how you clean your floor tiles, but it can make a big difference to the appearance of your kitchen or bathroom. Many of the steps take little effort but they will enhance the look of tiled flooring significantly. Always remember that if you simply don’t have the time to tackle this yourself, domestic cleaners in York are on-hand to take away the burden. Always sweep the tile flooring several times a week. This will stop abrasive dirt from damaging the tiled surface and will also protect the grouting. Grout will soak up any spillages due to its porous nature, so make sure you wipe up spills quickly. Make sure you lay down a door mat or rug at areas of the room where there is high traffic, such as entrances. In the winter months salt and snow can be walked into the home. You can avoid water damage this way, and also prevent salts tarnishing the finish of your tiles. When the time comes for domestic cleaners in Manchester to clean your home, it will take much less effort this way. Shoes can rub away at the surface of tiles like sandpaper, so put in place a strict no shoe policy to keep wear and tear to a minimum. Clean tiles regularly to avoid mildew and water from causing mould. This will make surfaces safe for the family. If you live in South Manchester and you don’t have time to clean regularly due to work commitments, then enlist the help of a home cleaner. At Maid2Clean, we have professional home cleaning services in Manchester to help with all cleaning needs. If you would prefer to tackle the cleaning yourself, having professional domestic cleaners in York to clean the tiling at least once a year will help your floor last a lifetime. There is nothing quite as beautiful as sparkling and shining glassware. Equally there is nothing quite as unattractive as smudged and dull glassware that shows watermarks or is covered in a dull white film. It need only take a small amount of time to make sure you have stunningly beautiful glass. The tips below are devised by Maid2Clean’s experts with years of experience in home cleaning in Northstaffs. Never put expensive drinking glasses into the dishwasher. Glasses that have been cleaned regularly in a dishwasher develop a white film across their surface and this discolouration may become permanent. This may be acceptable for cheap, bargain glasses but not for expensive crystal glasses. To clean up cloudy looking glasses soak them in warm vinegar and then scrub using white toothpaste. If this doesn’t work, then it is probably due to the glass having been scratched by the dishwasher and unfortunately they can no longer be salvaged, not even by professional domestic cleaners in Southend. Make sure you wash crystal glasses and other glassware that you want to keep shiny by hand. You can use standard washing up liquid and rinse off any residue with clean warm water. A plastic bowl is best so that you don’t inadvertently knock the glass against hard surfaces. Leave the glassware to dry on a clean towel with the bottom up or buff the glassware carefully using a lint free cloth. When it comes to domestic cleaners in Southend, there are many professional cleaners that can make sure that your glassware is well cared for. At Maid2Clean we offer a full range of home cleaning services around Northstaffs, Southend and other areas. Once a week, take a soft cloth and wipe over the surface. Microfibre cloths are best for removing dust. If you have furniture with mouldings and intricate carvings then a small paintbrush or the attachment to your vacuum cleaner can be used to loosen any embedded dust. It isn’t necessary to polish your wooden furniture with wax but if you use it sparingly, it can keep the wood protected and can also be buffed up to give a nice finish. Use a slightly damp cloth to wipe over the surface of the piece of furniture to begin with. This will avoid you trapping any dust and dirt when you apply the wax. This needs only to be applied a couple of times a year – stick to the same type of wax to avoid any issues. Waxing may sound too much trouble to fit into your busy schedule, so for a professional finish try a home cleaner in York. A home cleaner may be the answer for a professional finish. If you want to leave your cleaning chores to the professionals at Maid2Clean we have great services provided by home cleaners in York and elsewhere to tackle all your cleaning chores. An expert home cleaner in Croydon offers fantastic results every time. If you have a disaster with the sofa, never fear; there are many ways of getting it clean again. However, firstly take a look at the label to ensure you don’t make any basic mistakes. However, if you’d prefer to leave this task to efficient home cleaners in Southend, Maid2Clean are here to answer your call. • Once a week – take a vacuum cleaner over the surface of the sofa and chairs to maintain its finish for longer. If you get those vacuum cleaner tools out you’ll be able to get into all the nooks and crannies to ensure a super clean finish. • Every few weeks – take any loose covers off and clean them. If you follow the instructions left by the manufacturer you won’t go wrong and remember some covers may be dry clean only. If they can be machine washed, put them back on the sofa when still damp. This will help to get them back into shape. • Every few months – take time to clean fixed covers that are washable. Using a gentle solution of laundry detergent or washing up liquid mixed with warm water you’ll get rid of any dirty marks. Try an area that is hidden at first to ensure it doesn’t damage the fabric.Avoid getting the surface too wet and dry it quickly. You can speed up the drying by dabbing the area with a dry cloth, opening the windows or using a hairdryer. Home cleaning services in Southend can cater for all your upholstery cleaning needs. Here at Maid2Clean, we have an expert team to provide excellent home cleaning services in Southend and elsewhere. Cleaning the oven is for many the absolute worst nightmare, so here are some tips for getting it gleaming if you’d prefer to tackle it yourself rather than employing the services offered by domestic cleaners in Croydon. Use bicarbonate of soda which has been mixed with water into a thick paste. Take the paste and then smear it over the sides of the oven ensuring everything is covered. Leave the paste to work its magic overnight and then in the morning roll up those sleeves and get scrubbing with a scourer. This is less work but you’ll need to make more preparations. Get together a bowl of ammonia bleach and warm water. You’ll need to wear a respiratory face mask, protective clothing, rubber gloves and also cover the surrounding area. Take out the oven shelves and use the solution to cover them. Once covered seal the trays in a plastic bag like a bin bag. Spray the oven with the same solution. After several hours you can take a hose to the trays and wash away the solution making sure no pets, plants or children etc can come into contact with the solution. Then give them a good wash with soapy water. Next rinse the oven thoroughly with clean water. If you are asthmatic or pregnant, find someone else to do the dirty work. Keep pets and kids away, too. If that all sounds far too much graft, then there is an even better solution. 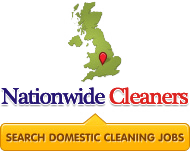 Domestic cleaners in Croydon can do the job for you! Here at Maid2Clean, we offer a professional and efficient service based on almost 2 decades of experience of home cleaning services in Croydon. If you have some treasured antiques, you will want to ensure that they stay well maintained and clean to show them off at their best, and to ensure they keep their value. Home cleaning services in Southend may be of assistance in this area, particularly the exceptional service offered by Maid2Clean. There are some steps you can take to keep antiques in good condition yourself, however, if you would prefer to give maintenance a try yourself. Central heating can be a problem because of the changes in humidity. For wooden antiques this spells trouble as wood naturally expands and contracts according to humidity levels. Over time this can make an antique warp and crack. Protect them by ensuring there is plenty of fresh air in the room. When it comes to cleaning, always use a clean duster or cloth. You can use orange oil on wooden antique which creates a lovely polished finish. It won’t leave a waxy residue and is without silicone or linseed oil. Aerosol sprays should be avoided as they contain agents that can damage your antiques such as silicone oil. Every few months use a high quality wax paste. Don’t wax too often as it can create a dull finish and make the furniture a magnet for dust. With thorough waxing you will see an improvement to the look of the grain and colour of the wood. It also acts as a protective layer. Take a small amount and use circular motions. Let the wax dry and then buff it off with a clean duster. At Maid2Clean, we have domestic cleaners in Southend that can tend to your antiques and any other domestic cleaning requirements. The experience we have gained over the years has enabled us to give the best advice and services when it comes to domestic cleaning in Southend.